I LOVE this stroller! The F2 is VERY light, at 3.8 kg. 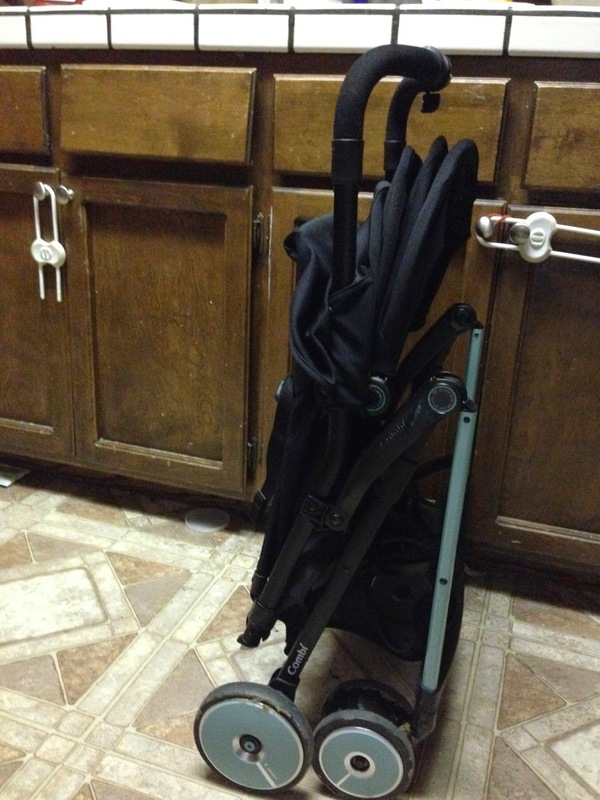 This stroller is so light I can pick it up with one hand, and it doesn’t take much effort. The F2 can be opened and closed with one hand. Seriously, with one hand. I can hold Bunny in my arms and open AND close this stroller with ONE hand! This feature is amazing! 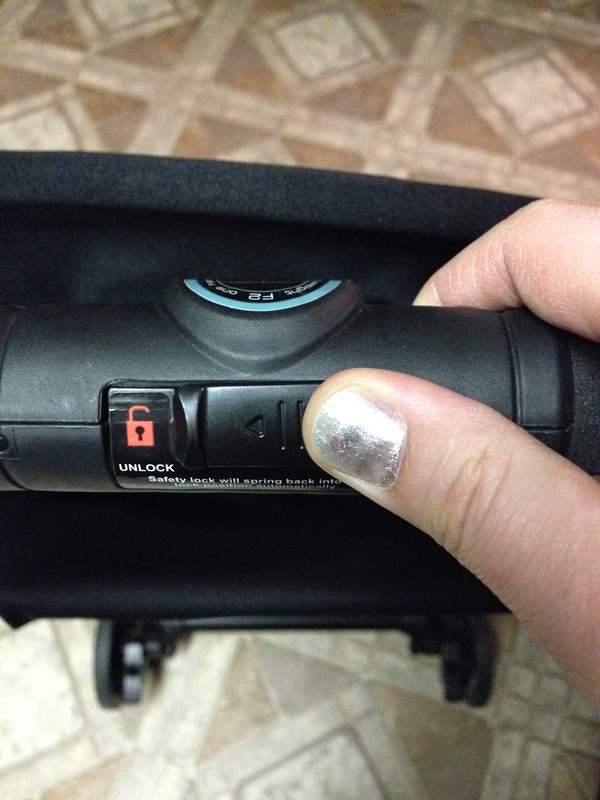 I don’t know how many times I have fumbled around with a stroller trying to get it to open. When I am out shopping on a hot summers day, it is difficult for me to leave Bunny in the car while I open a stroller, even if the door is open. But, unless I want her to run around like a crazy person while I open the stroller and load it up, sitting in the hot car is the only option. Not anymore! I can hold Bunny WHILE I open this stroller! 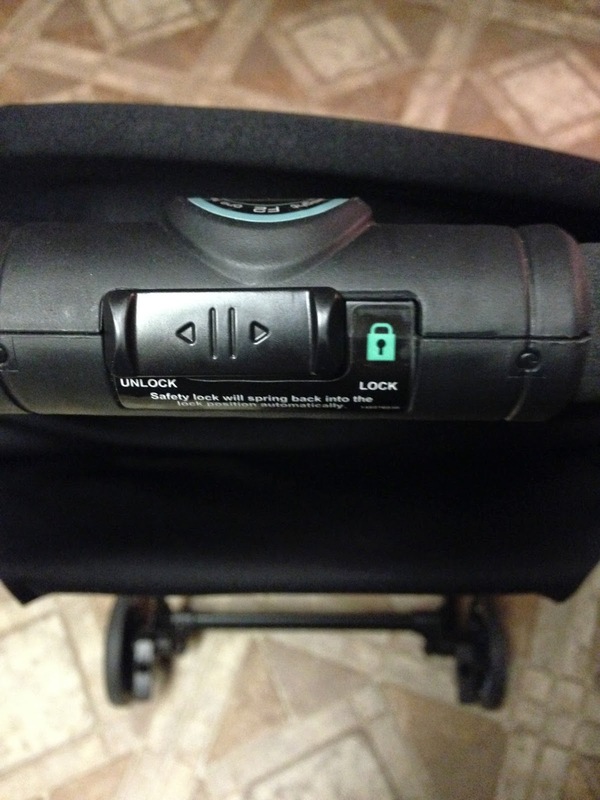 More strollers need this feature! To fold you unlock the handlebar and press the lever down. The steering on the F2 is amazing! You can easily push the stroller with one hand. You can turn with little effort as well. Bunny loves to push this stroller around! My 5 year old niece was able to push Bunny in the F2. That would not have been possible with most strollers. The canopy on the F2 is very large. 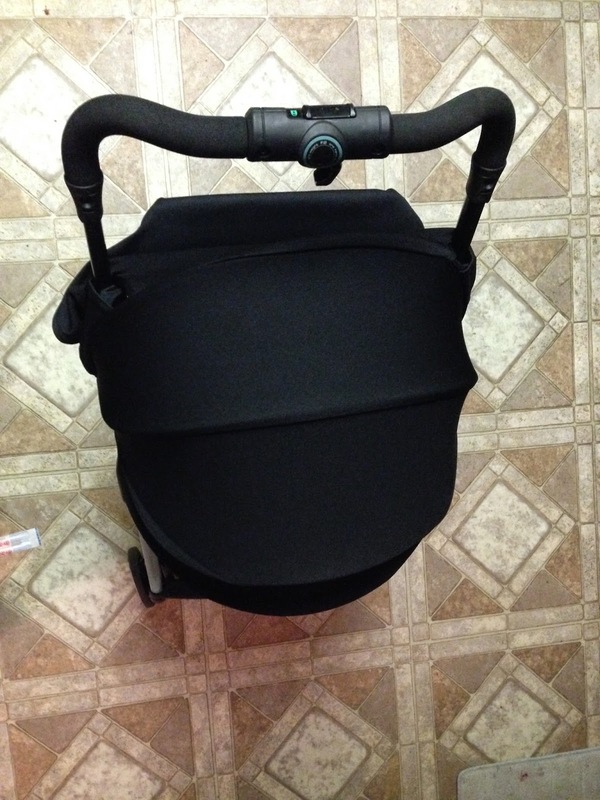 It has three panels that allow it to cover ALL of your baby. I really dislike when a stroller canopy does not cover all of your baby. What is the point of a sun canopy if it doesn’t keep the sun off your baby! The canopy also has integrated sunshade that is able to block over 99% of ultra violet rays. The seat of the F2 is mesh, which makes is breathable and more comfortable in summer. 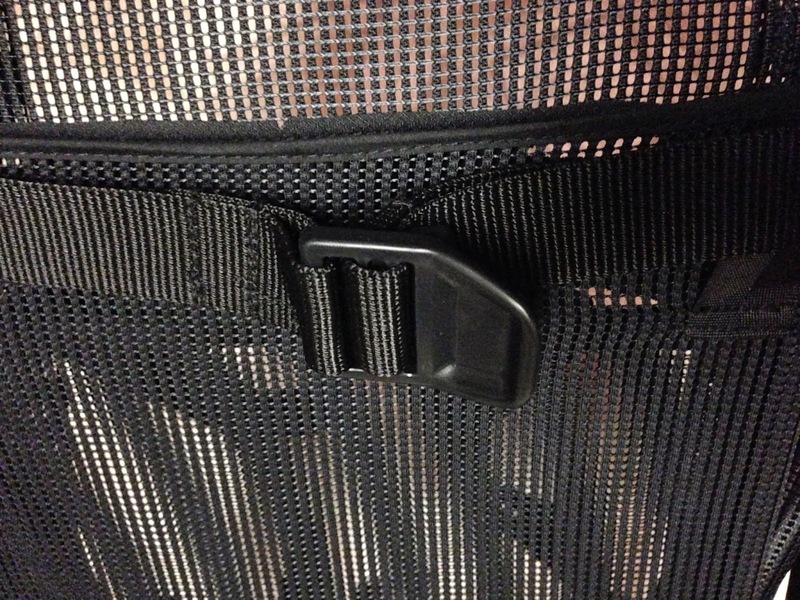 Everyone who sees the F2 has comments on the breathable mesh seating. The seat itself is very large and roomy. 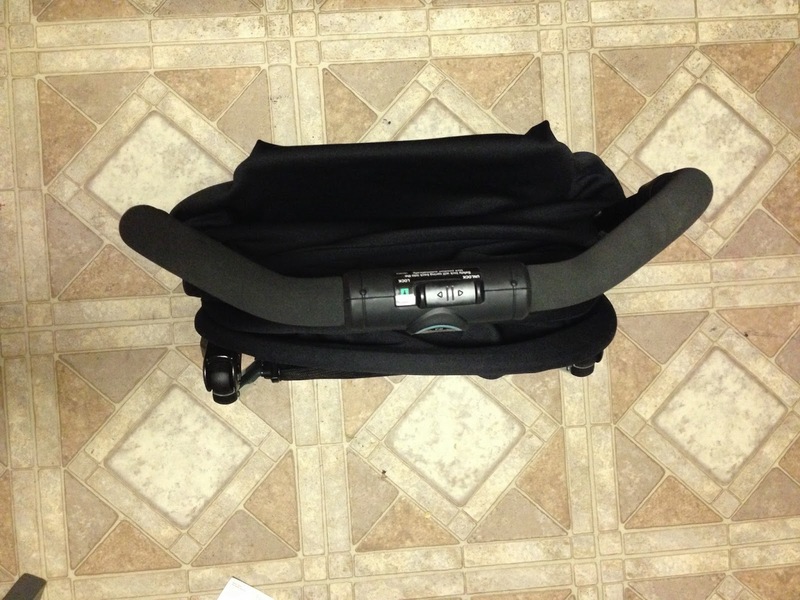 The backrest is adjustable, and easily adjusts with one hand. It seems like everything had one hand possibilities with the F2! The backrest goes from a seated position of 120 degrees to a reclined position of 135 degrees. 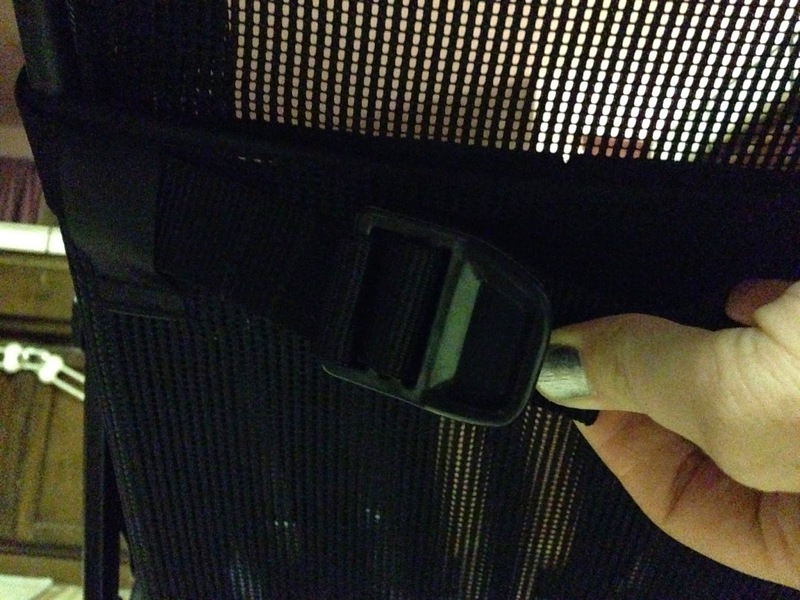 The F2 backrest is adjusted using a buckle that is similar to many soft structured carriers adjustable buckles. 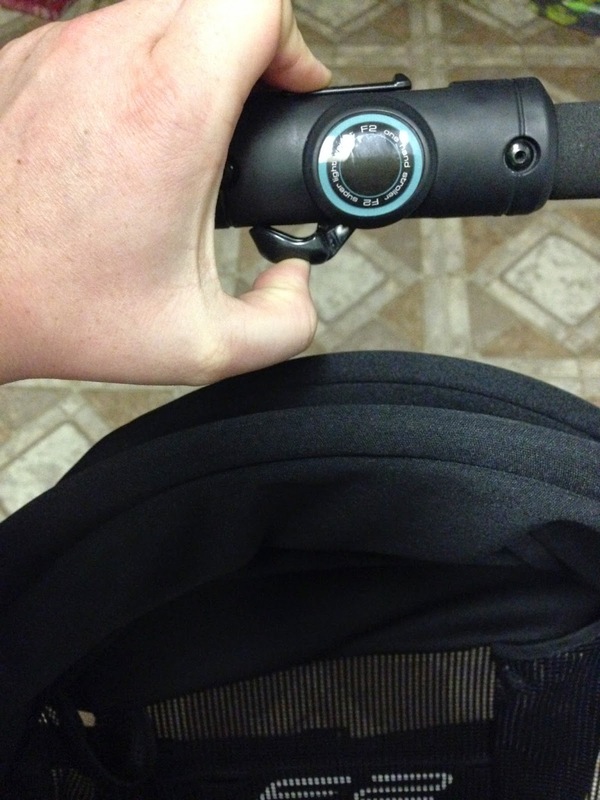 This allows you to easily change the backrest position with one hand, if needed. The F2 has a 5 point harness system which is extremely easy to adjust. to lean the backrest down, simply pull the tab! The F2 has a large undercarriage basket. I can easily fit a small diaper bag in the basket. The undercarriage basket can hold up to 10 pounds. The handle on the F2 is at a great height, at 102 cm. My Love and I are both very comfortable pushing the F2. There is no hunching of the shoulders or crouching down when pushing the F2. The F2 is recommended for babies 6 months 36 months old. The weight limit on the F2 is 40 pounds. The F2 folds down easily and is super SUPER small. I was able to comfortably fit the F2 behind my front seat in my car and it only took up the leg room! The F2 is GREAT for traveling! If you do not have a ton of space for a huge, bulky stroller, the F2 is your traveling companion. I can stuff my car full of suitcases and people and still have room for a stroller. Most parents know how rare this is! 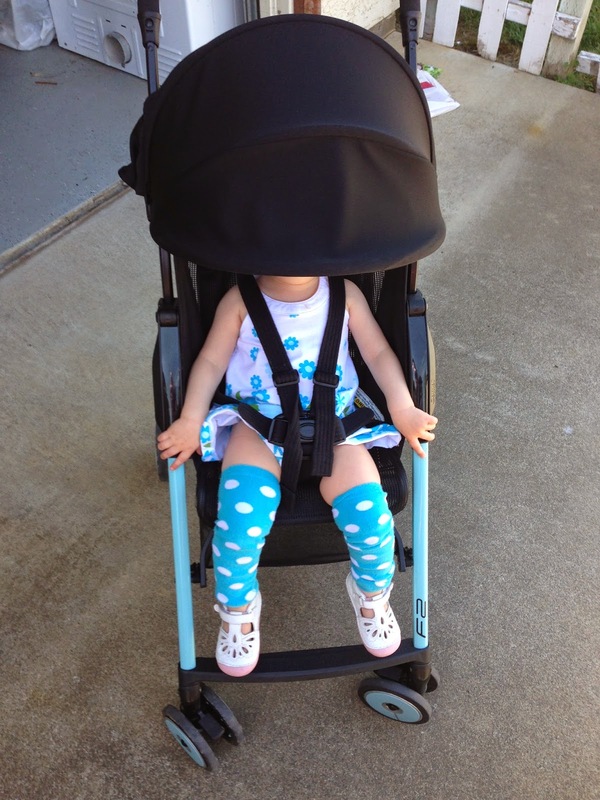 Typically the stroller takes up most, if not all, of the space in your trunk. Not the F2! You do not need to take the F2 out of your trunk before you go to the grocery store! I hate when I get done shopping and realize there is only enough room for a stroller OR my packages. What is really neat about the F2 is, you can choose what color you would like it to be. 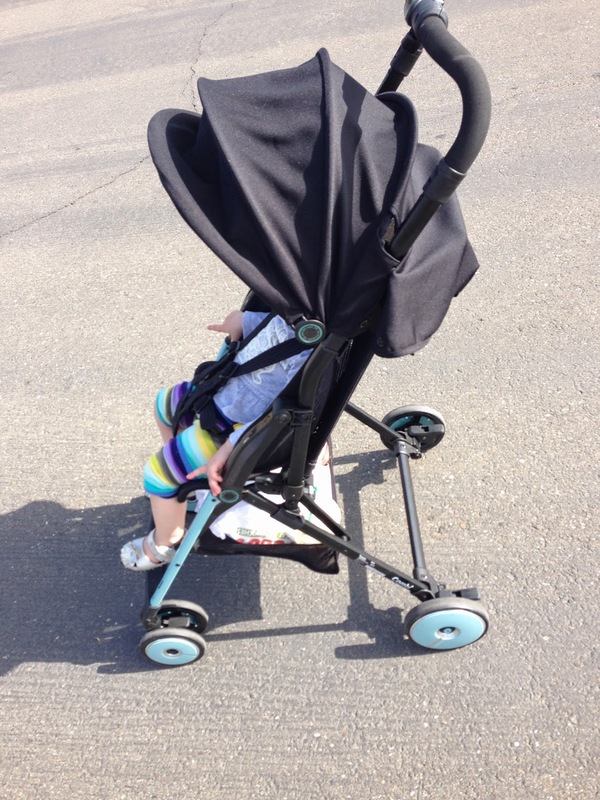 With the F2 you can customize the wheel caps and the “legs” of the stroller. You can choose between blue, white, yellow, red, pink, and black. If you take public transportation often, the F2 is definitely the stroller for you. The F2 fold so quickly and easily, it makes getting on and off a bus or a train painless. If you are traveling often, this is your stroller. We recently flew on an airplane and took a train to and from the airport. Having the F2 would have saved us so much time and headaches. If you don’t take public transportation and don’t travel often, the F2 is still an excellent choice. The F2 would be great for trips to the zoo, Disney Land, the park, a walk around the block, anywhere really! 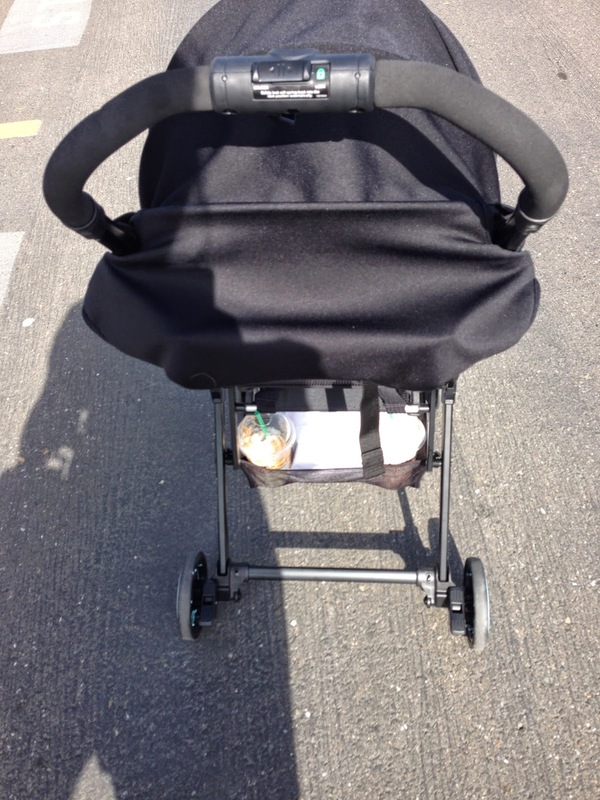 The F2 is my husband’s GO TO stroller. We have a $1,000 stroller and my husband picks the F2 every time. I will definitely post when the F2 is available to purchase. In the meantime, you can stalk Combi here. Disclaimer: I received this item to review. My opinion and views are my own and are in no way influenced by the product owner.